Barcelona is the capital of the Spanish region of Catalonia and is one of the most frequently visited tourist cities in Europe. About 1.65 million people live in the urban and about 4.9 million in the catchment area. However, each year, 7.8 million tourists crowd the old town to visit the countless sights and architectural delights. The most famous destinations are the Sagrada Familia Cathedral and Park Güell. Just to name a few, you can add the Plaza Espana, Parc de la Ciutadella and the promenade La Rambla. In addition, the city abounds with museums and cultural events of all kinds, offering something for everyone. The construction of Barcelona’s most famous landmark, the Sagrada Familia, was started in 1882. 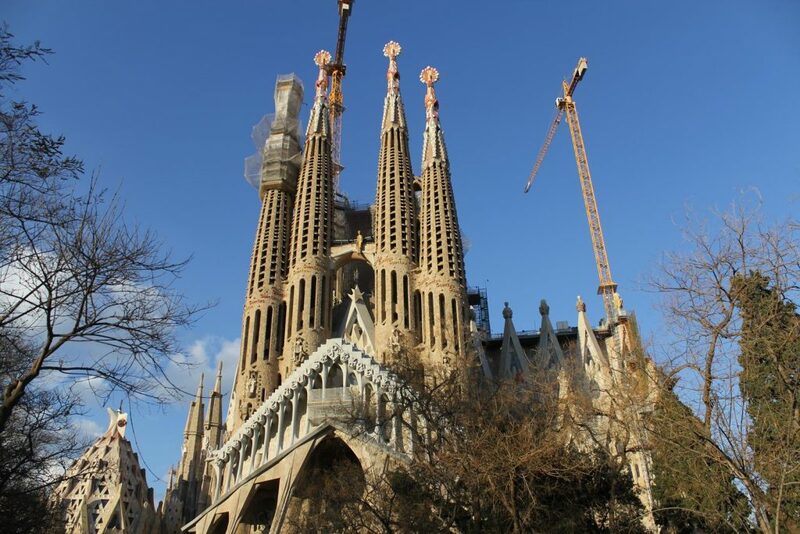 The building will be completed in 2026, just in time for the centenary of the death of Antoni Gaudi, who spent most of his architectural career working on the design and construction of the church and even died in a tram accident on the way to work. The construction of the church is financed exclusively through donations amounting to about 18-22 million euros per year. By the way, every cent that can not be installed in one year is donated. So far, tourists have access to parts of the interior and the completed towers that are accessed by elevators. The single ticket costs about 15. Euro. We left the visit of the interior for the next stay in Barcelona. Some pictures of the church from outside can be found in the galleries. Park Güell is named after Eusebi Güell. This entrepreneur and politician commissioned the park and had it designed and built by Antoni Gaudi between 1900-1914. He dispensed of large excavation work and adapted the park to the natural hillside. In total, the attraction, which combines nature and art in a unique way, extends over approximately 17 hectares. Worth mentioning is the wonderful view over the city to the sea. There are beautiful mosaics everywhere, that have been inexpensively organized from waste from the nearby ceramic factories. For me, a somewhat unusual idea, but the Ebro delta is home to the largest rice-growing area in Spain. I didn´t even know that the plant is cultivated in Europe at all. The River Ebro, however, offers perfect conditions by supplying the farmers with fresh water and flooding about 75% of the area. More or less the remainder of the 320 square kilometer area is designated as a nature reserve that provides breeding grounds and nesting sites for hundreds of bird species. The biggest impression left are the huge groups of flamingos. You get to see thousands of them. In Spain, the birds lose their pink color due to their diet change and turn white. I had also never expected, that there are killer whales and dolphins near the coast line. In general, Barcelona is one of my favorite cities in Europe. The atmosphere is very relaxed, the people friendly and everything simply fits in a beautiful picture. I can only recommend a visit and will be spending some more time on site myself. The next reports are about Girona, Vinaros and Peniscola as well as Valencia.